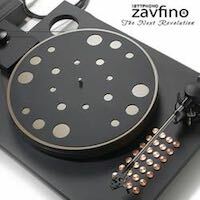 Every stand out product offers a compelling narrative and in a related manner, each upper echelon review usually unfolds with an entertaining tale. 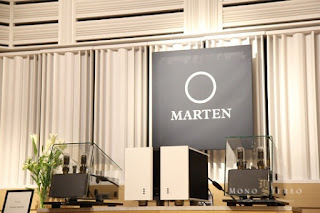 While visiting Marten a few months ago, I’ve had a chance to listen to the Engström ERIC flagship tube amplifiers connected with the Marten Coltrane Momento 2 speakers. 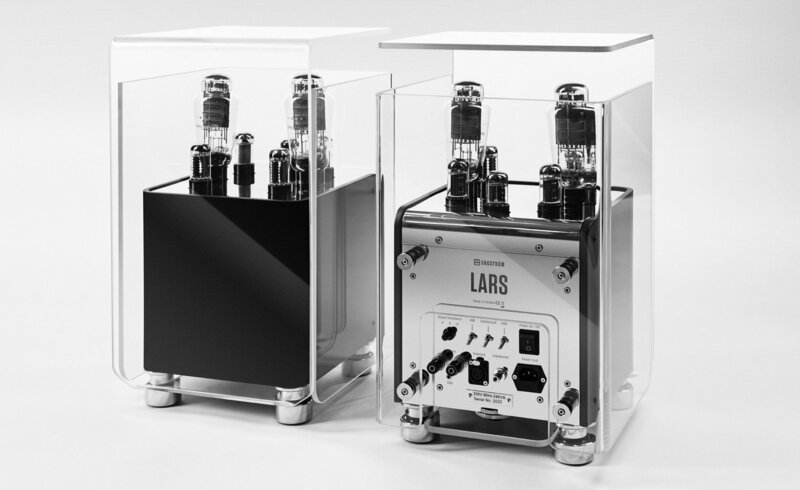 These cost-no-object-no-compromise statement power amplifiers by Lars Engström named after a great Swedish choir conductor, have left behind a lasting impact on me. I was most deeply affected by their sonic potency. We were planning to carry out something special with Timo Engström for a long time and when he suddenly had a free demo pair of Erics available (for few weeks time), we could finally pin down the review dates. 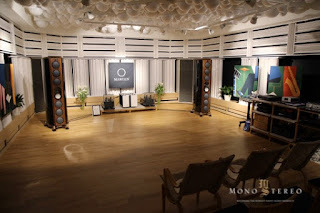 Timo also wanted to visit me and as my all new listening room was coming to the definite stage, so in a way, all have aligned perfectly. 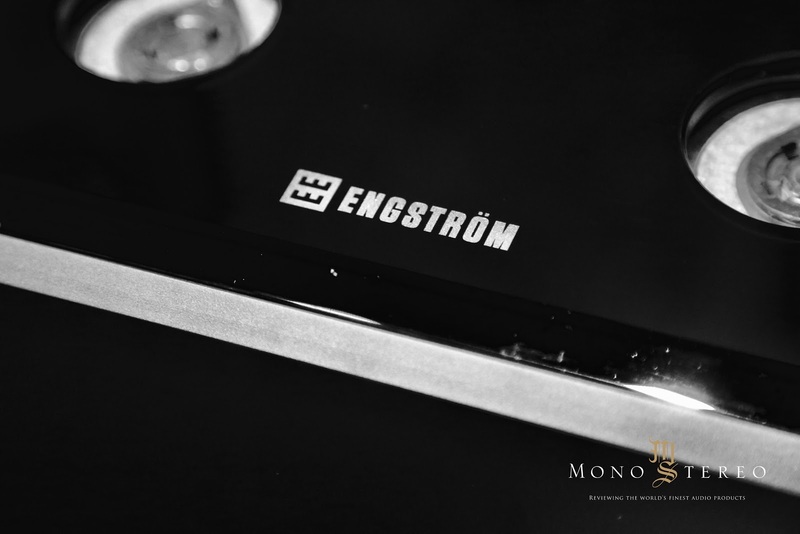 The Engström Eric amplifiers are the ultimate exploration of Lars and Timo’s out-of-the-box-creative-minds. They are both highly intriguing and interesting individuals with remarkable life accomplishments and stories to tell. 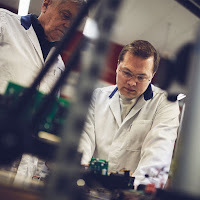 Timo is renowned for his industrial design skills and has worked for many prominent brands over the years, but now mainly concentrates on the Engström activities. 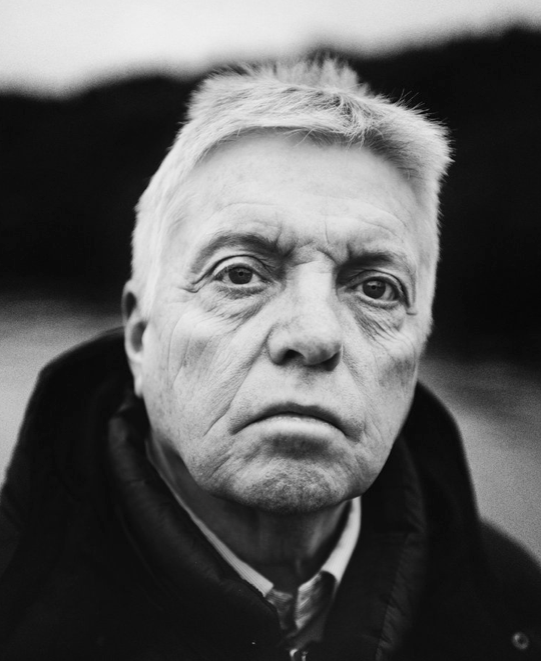 Lars has among multiple life achievements collaborated as an executive at the iconic 2.6 billion Euro Øresund Bridge. Their united and unique visions have emerged in the formation of something extraordinarily; the Eric! This is the Engström most ambitious and challenging project up to date. Eric embraces best attributes of minimalist Nordic design with a zen-like purist aesthetics. And same scores for the sound as you can read on. It’s all about purity and essence, a fresh mountain water alike. Utterly refreshing and inspiringly potent at its nucleus. 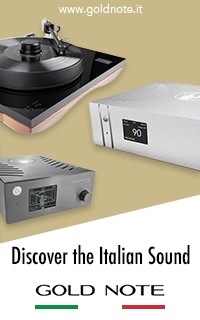 Engström’s Lars amplifiers have already made their impact on the market with their instantaneously recognizing design cues and mesmerizing sonic abilities. 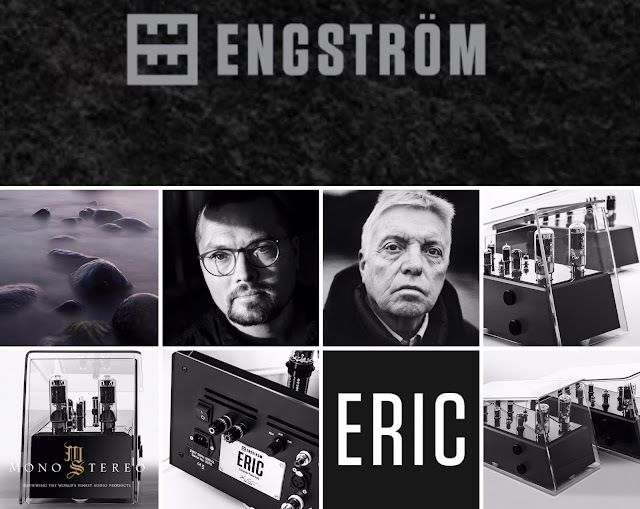 ERIC amplifiers are following the Engström’s established legacy, but they’re pushing everything to the new heights. There are numerous design twists and challenges associated with ERIC. A curved glass alone is truly a mind-boggling concept. I’ve inquired about the glass complexity with Timo and he has confirmed my predictions. Only a few companies in the world are able to do it in a perfect manner. And yes... You’re guessing correctly. This is not exactly cheap to produce by any measures. ERIC (65kg per monoblock) was designed from the ground up to drive even the toughest loads and it’s truly/fully balanced - transformer-coupled from the input to output. 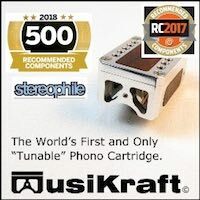 ERIC uses T-100 power tuber from KR Audio. 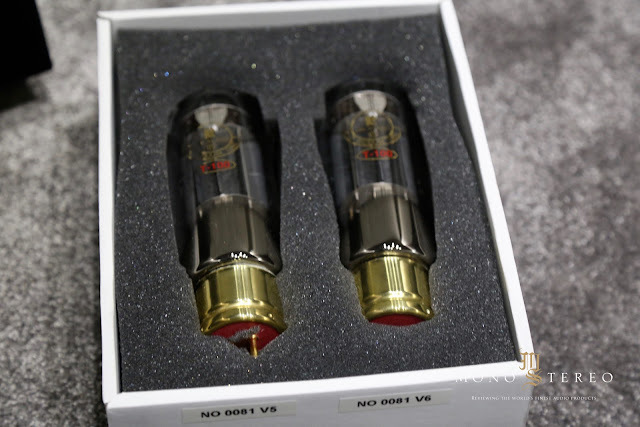 These are the contemporary tube iterations of the iconic 845 valves, that implements oxide cathode rather than tungsten. 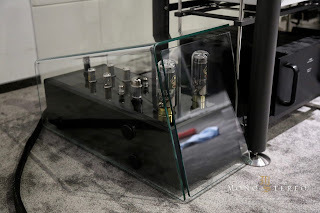 6L6GCs were selected to perform the duties of the driver tubes in the triode connection, with EC8010 (a frame grid tube with high gain and low inner resistance) functioning as the gain tubes. There are no capacitors in the signal path except cathode decoupling. ERIC is a triode tube, transformer coupled, no feedback, Push-Pull, 70 watts-per-channel monoblock power amplifier marked (as Engström named it) with the Scandinavian sound. 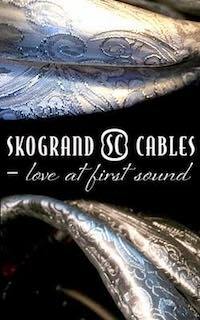 A Scandinavian sound? I’ve touched this briefly three paragraphs above, but I’ll describe it further in-depth later on. 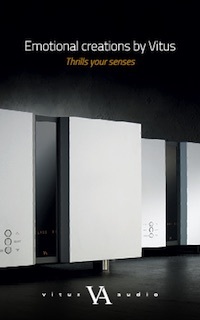 Engström has three different power amplifiers in the product line. 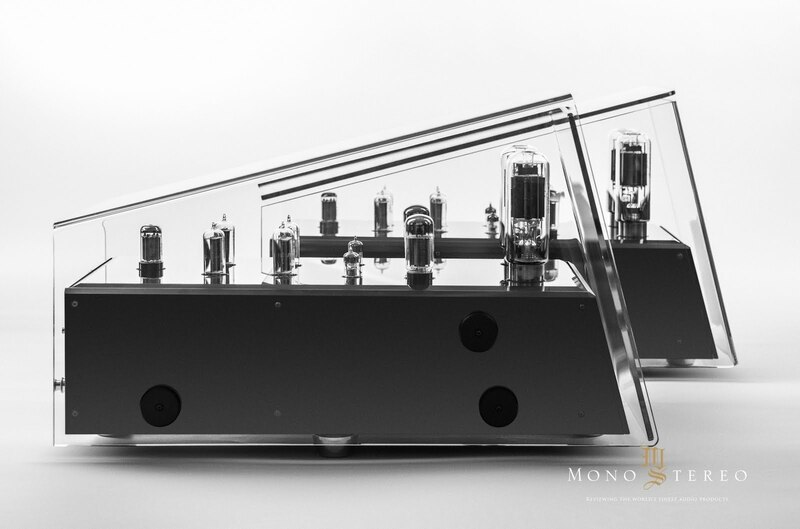 Arne 20WPC integrated amplifier, Lars 36WPC , and Eric 70WPC monoblock. 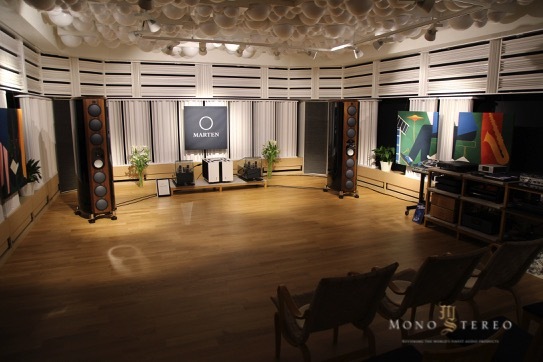 Engström feels that it’s better to use loudspeakers with higher sensitivity rather than amplifiers with more power. But the power is not the main thing. More important is the output impedance of the amplifier. The ratio between the output impedance and the speaker impedance is what’s called the Damping Factor. The Damping Factor is a figure that shows the amplifier’s ability to control the speakers. 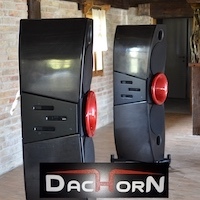 There are some good speakers on the market which have difficult impedance variations. 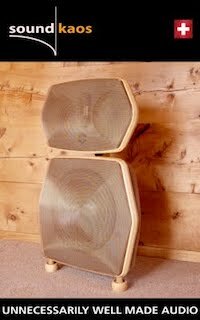 Timo and Lars wanted to have an amplifier in their product line that could drive these difficult speakers. This is the reason why they've created the ERIC. ERIC has a powerful sound and is at the same time open and detailed. Eric is a fully balanced amplifier. A balanced amplifier implements the transformers in a better way. You can get five times more power from a transformer of a given size in a balanced configuration than in single-ended configuration. 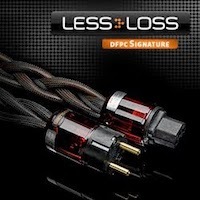 You will also get lower distortion and lower noise. Engström uses transformer coupling through the whole amplifier with separate power supplies for the power stage and the gain stages. 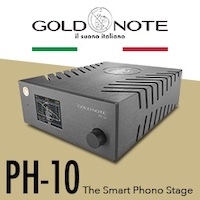 The power stage is designed for low output impedance. 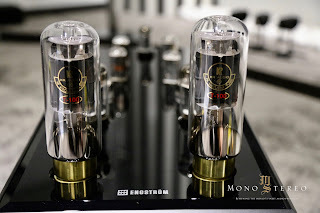 Engström has chosen T-100 tubes from KR Audio. 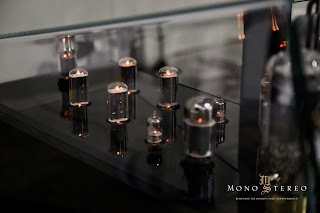 These tubes are similar to 845 tubes, but with oxide cathode instead of tungsten cathode. The filament power is lower and internal resistance is also lower. This makes it a better tube than normal 845. 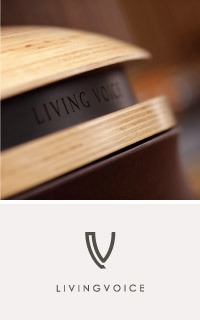 The output transformer is a special design from Engström's specification. It has a 4kg 160W core. The transformer has a fixed impedance for 4-ohm speakers. 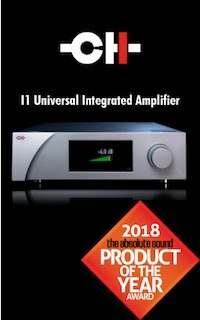 In Engström opinion it is always best to have an output for 4-ohm speakers also if the speakers have a nominal impedance of 8 ohms. 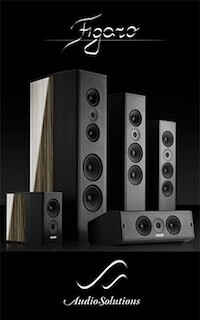 8-ohm speakers will often drop below 4 ohms at some frequencies. The power stage has its own power supply. This power supply has separate transformers and a bridge rectifier with four vacuum tube diodes. The filter is made of two chokes and three 1500V polypropylene capacitors. The filaments of the T-100 has DC supply with choke filtering. 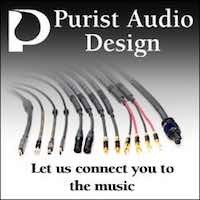 The driver stage must be able to deliver high signal amplitude to the power stage. Engström has chosen 6L6GC as driver tubes which can work with high plate voltage. The driver stage is transformer coupled to the power stage. This gives 6dB higher amplitude for a certain plate voltage. 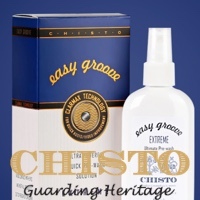 It also has a faster transient response. The driver stage power supply has a separate transformer, vacuum tube rectifier, and CLC filtering. The gain stage is a long tail differential amplifier with EC8010 triodes. This gives high gain and good balance. The plate voltage is supplied from the driver stage power supply but via a non-feedback voltage regulator. The filaments of the EC8010 tubes has DC supply with choke filtering. The input transformer makes it possible to connect both balanced and unbalanced sources. It is also possible to bypass the transformer if you have a potential free balanced source. 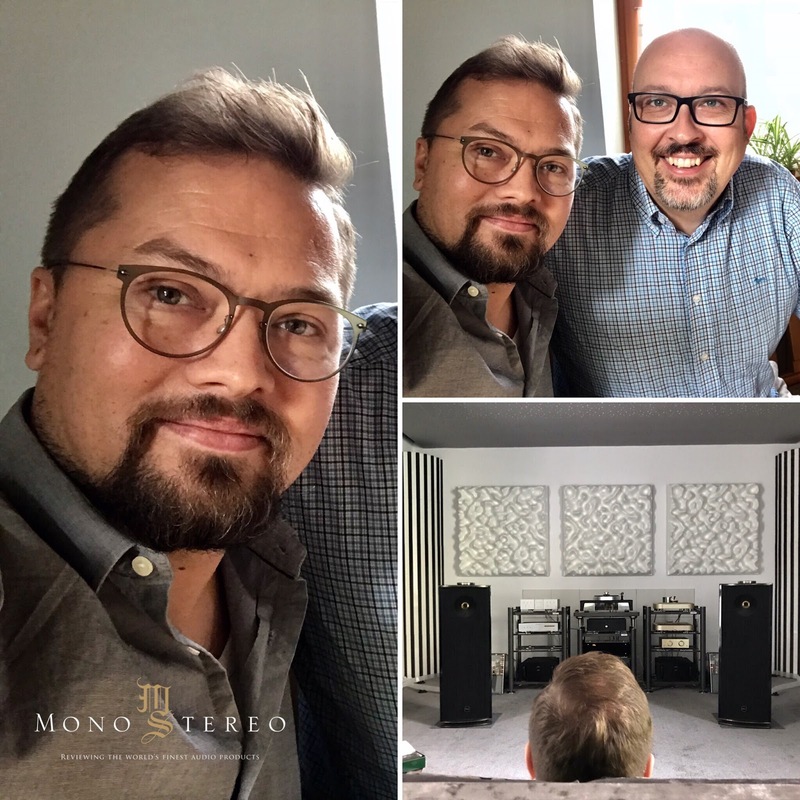 Lars Engström has spent many years listening to different components. 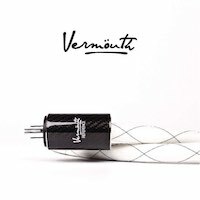 Tubes, transformers, and capacitors are all important to the sound. 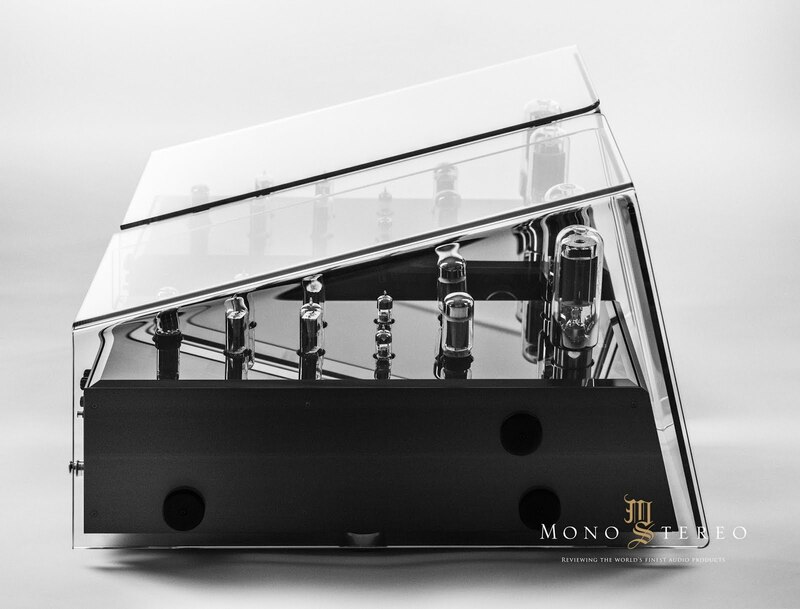 A balanced amplifier has an open and detailed sound. 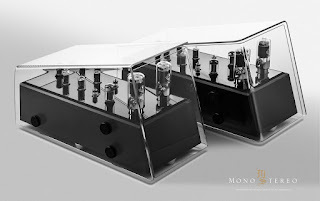 Engström feels how you don’t need to brighten the sound up with silver or exotic transformer cores. 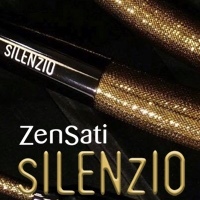 They have tried some of these materials, but believe that it takes away too much of the body of the sound. The most important thing with capacitors is the "dielectricum". Engström uses polyester (Mylar) in small decoupling capacitors. Polypropylene is used in the power supply capacitors. For signal capacitors they prefer Teflon. "It is important that it is real metal film capacitors, not metalized plastic film. 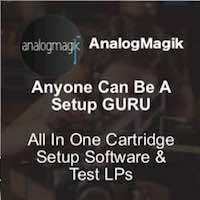 We use tin foil that gives the best sonic balance." 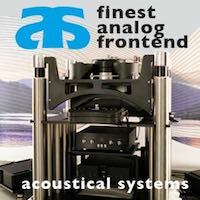 There are a number of things that Engström think needs to be done right to achieve the maximum fidelity in music reproduction. Lars Engström’s list of design imperatives includes some of the necessities that are absolutely vital. A fully balanced circuit has many advantages. It cancels even overtones, it improves the common mode rejection, it gives better power supply rejection and it cancels the filament hum. Additionally, the transformers can handle more power. The core that Engström use for the output transformer in LARS can handle 40W in single-ended mode and 125W in balanced mode. 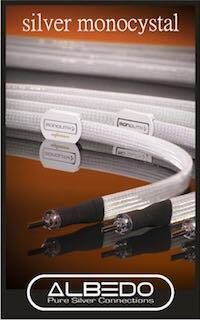 That means that for a given output power you will get a better low-frequency response using the balanced coupling. 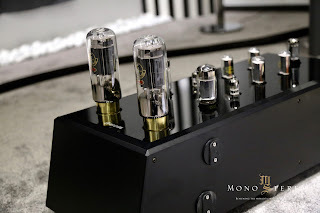 A balanced amplifier takes almost the double amount of component. 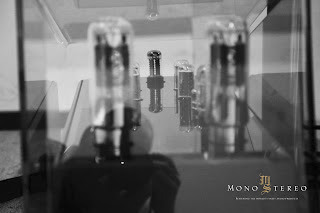 Therefore, it is more expensive than a single-ended amplifier. While negative feedback may look good theoretically, it requires infinite amplification, bandwidth, and dynamics in practice. In reality, negative feedback blurs the transient, an effect that is commonly known as “gray sound”. 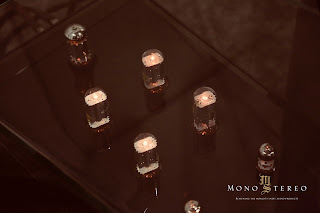 The implementation of negative feedback made it possible to use pentodes and transistors. 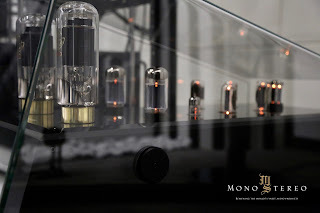 The reason for using pentodes, instead of triodes, is that it is possible to get more power with fewer tubes. 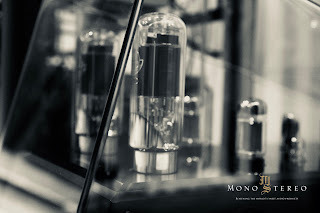 However, already 80 years ago, people complained about the “pentode sound”. 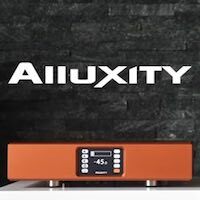 To eliminate the negative aspects of gray sound we use direct-heated power triodes and no negative feedback in our amplifiers. To improve the transient response and thus achieving a more open and detailed sound, Engström has implemented a transformer coupling between the driver stage and output stage. The transformer coupling gives double headroom at the plates of the driver tubes. 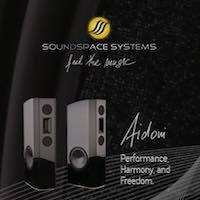 This gives a 6dB better dynamic in the drivers and a much faster charge and discharge of the grid Miller capacitance of the output tubes. There is no risk of blocking the output tubes due to the charging of a coupling capacitor. In a balanced circuit, the most important factor is to make certain that the two signals are exactly symmetrical. As all tube phase splitters are more or less unsymmetrical Engström uses a transformer as a phase splitter. The input transformer that makes the phase splitting is made with amorphous iron core and oxygen free copper windings. Silver windings are available as an option. Intermodulation distortion occurs at the frequency where the transformer response starts to go down, causing the transformer to start working as a frequency mixer. 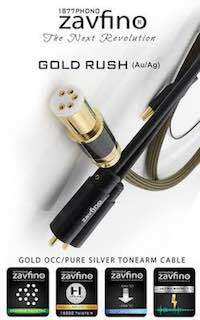 This can create new unwanted frequencies that are not harmonically related to the original signal. To avoid intermodulation distortion, Engström uses wide-band transformers that can handle frequencies far outside the audio frequencies. 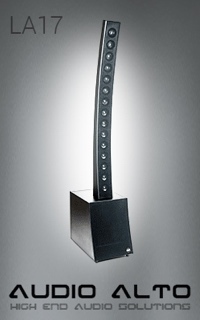 To assure both good power capabilities and good frequency response, Engström uses steel with the best qualities. Further, all the iron in the core should be oriented in the flux direction. The C-core or toroid transformers that we use fulfills all the above. In, e.g. the cheaper I-E clip transformers that are common on the market 50% of the iron is oriented the wrong way. Engström implements metal foil capacitors for improved mechanical stabilization. Metal foil capacitors are made with higher quality metals compared to the cheaper plastic foil capacitors that are common on the market. High-quality metal foil capacitors are available with copper, silver or tin foil with a dielectric of Teflon or polypropylene. 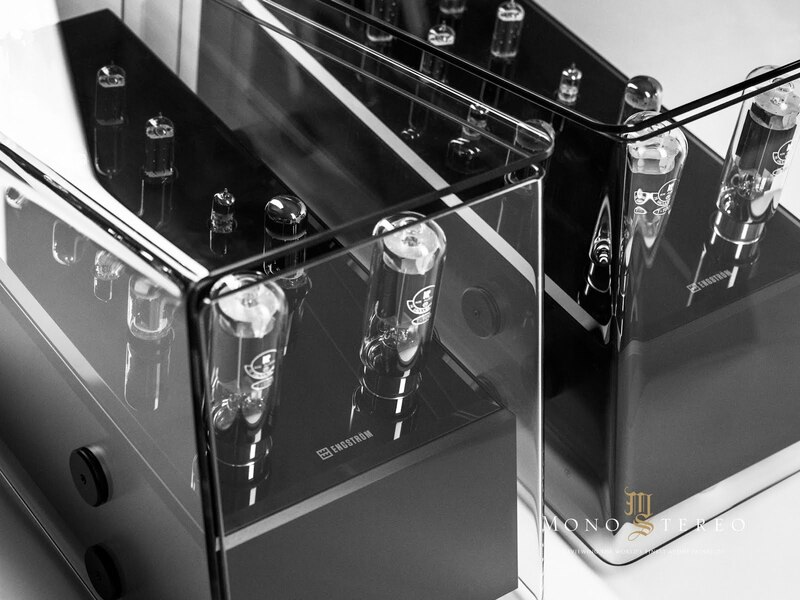 Engström uses tin foil capacitors with Teflon in THE LARS amplifiers. 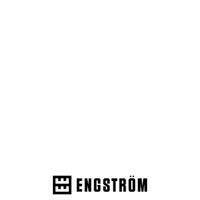 In order to avoid energy loss or undesirable sonic influences, Engström uses foil capacitors almost exclusively. 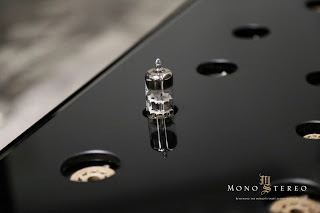 They have minimized the use of electrolytic capacitors, as these often have the high impedance that affects the passing signals between the amplifier stages via the power supply. Foil capacitors have a much lower impedance and they last much longer than electrolytic capacitors. "With differential amplifiers, we get a better common mode rejection and power supply rejection than we should have with separate cathode resistors. We don’t have to match cathode resistors and we don’t need any cathode capacitor." Tube rectifiers produce less high-frequency spikes than solid-state rectifiers. 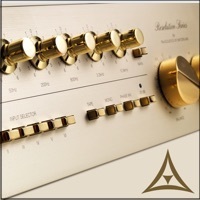 High-frequency spikes add to the background noise, which affects the sound performance of the amplifier. To secure lower failure rate and longer lifetime of the amplifier, Engström always designs with a 20% margin to max voltage, current, power dissipation etc. 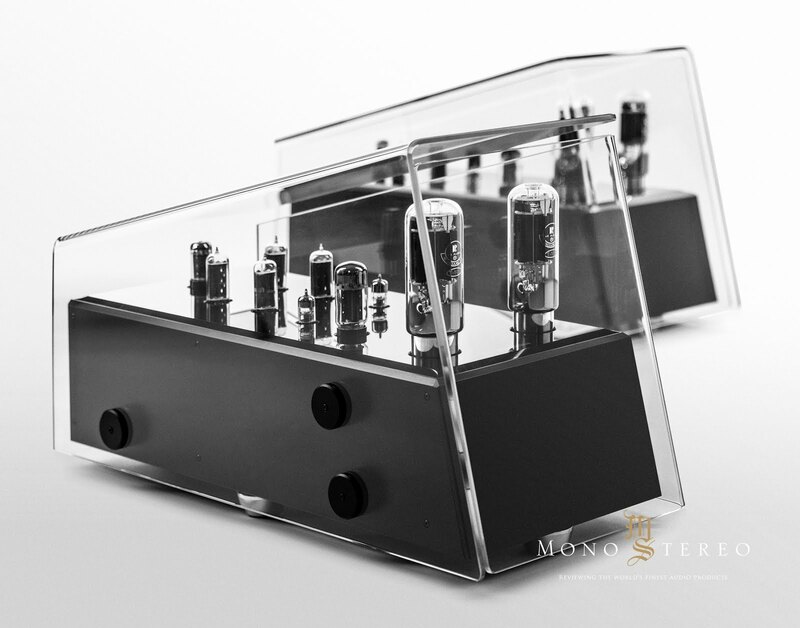 A steel enclosure may cause magnetic coupling between different parts of the amplifier. Because of this, the enclosure has an electrically conducting surface to give better screening. If some of the windings are left open the transformer is not used optimally. The unused parts of the transformer may cause less symmetry and change the inductance and the capacitance of the winding. Because of this Engström designs never have open windings. In a star ground system, all local grounds for each stage are connected together. A wire is then run from that point to a single ground point on the chassis back at the power supply ground. 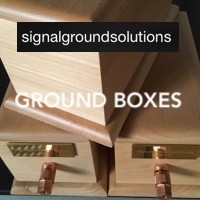 The reason for using a star ground system is to prevent hum and noise that may occur if the heavy power supply and output stage ground currents flow in the ground return of the low-level input stages. I suppose the technical part was dealt with more than just properly. For technically inclined it displays in-depth view of how ERIC operates and nonetheless why it sounds so different and so intimately captivating. The ERIC reviewing and listenings were sort of tour de force. Why? It was intensifying because I wanted to encourage the ERICS to display their maximum and find the appropriate-matching partners. 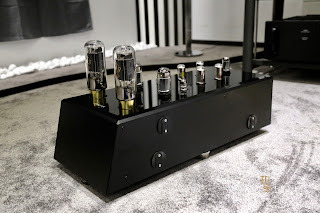 Many system permutations happened and one that worked extremely well was Aries Cerat Kassandra II Sig DAC acting as the source followed The Bespoke Audio Company Ultimate Silver going straight into the ERIC’s direct input. 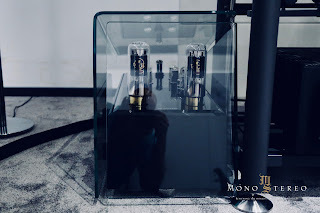 The direct input bypasses the input transformers and as the Bespoke preamplifier is TVC this specific combination, that also Timo had heard has locked and loaded with the richest music impact on the digital side. 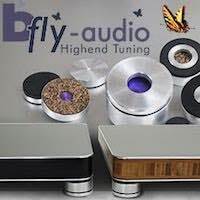 There is something intrinsically different going on when the analog front end is set accurately and ERIC tube amplifiers just simply accepted these excellences, lifting the auditory presentation to the totally different level. 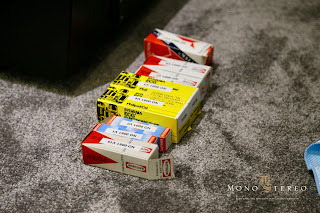 I’ve tried to devote equal pace with my reference digital and analog sources, but somehow the analog has to keep drawing me back for more and more. The immediacy, purity, clarity, harmonic correctness etc. These were among the attributes that have repeatedly appeared up in my listening notes. 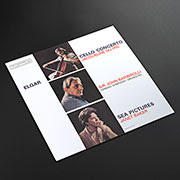 There is something extraordinary about the Elgar Cello Concerto / Sea Pictures Jacqueline du Pré / Barbirolli / Baker (ERC044) that keep drawing me back to the repeat listening. Yes, it's a £500.00 disc, but when something as special as ERIC comes along, yours truly cannot be in the reserve mode. 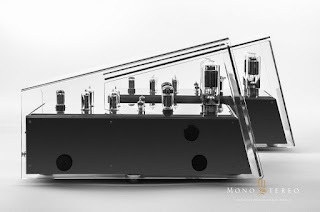 ERICs might be contemporary Über tube amplifiers, but especially with this record, they've exhibited all of the magnificent qualities that usually entrap the minds of an upper echelon audiophiles and music lover that are appreciating some of the qualities of the 20th tube exotic amplifiers. 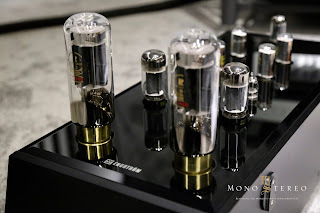 Digging through my listening notes, brought up an interesting remark: "There is really no need to lurk towards the East for the bespoke ultra-high-end exotica. 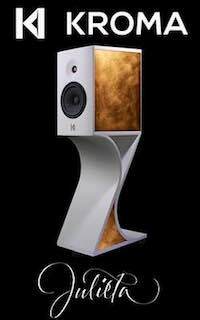 The Engström flagships are magnificent European antidote with a most vibrant, yet crystal clear core, that can deliver a puristic aural performance to be matched!" 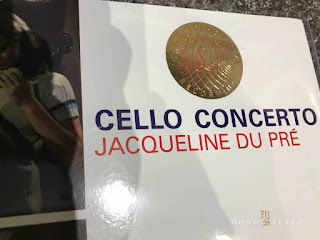 Jacqueline Du Pre’s 1965 recording with Sir John Barbirolli and the London Symphony Orchestra is most highly cherished by the analog connoisseurs and aficionados. 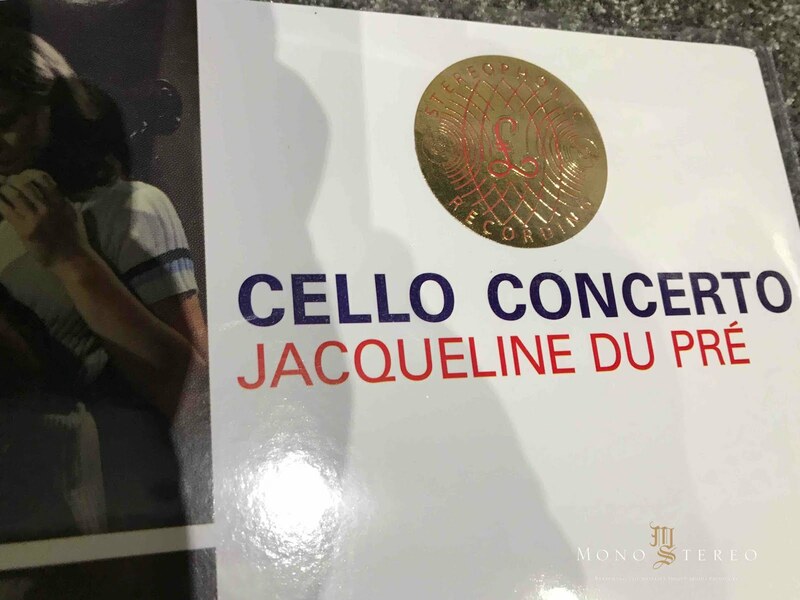 Jacqueline du Pré's emotional engagement steps daringly into the melancholic and eerie realms and to be fully immersed into this powerful interaction, power amplifiers must be able to deliver the uncanny momentum when it's needed (to be liked or not). 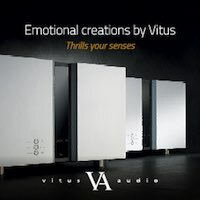 ERIC amps' inner core masterfully established the almost poignant aural impact as well as one of the kind orchestral rendition. 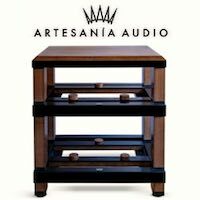 I've often asked what is so special (and price worthy) at the upper level of ultra high-end audio. There are quite a few criteria and one of them is non-fatiguing and ERIC amplifiers are stellar in this regard. The pace of London Symphony Orchestra is brilliantly controlled by Sir John Barbirolli and here another ERIC's quality stepped forward. The dynamic shifts were utterly controlled with feather-like ease and in the complete absence of losing control at any time. 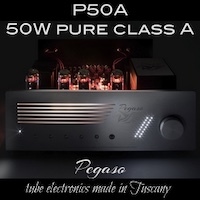 Even some of the most exotic amplifiers fail to exhibit the needed focus and lose themselves when the grander orchestra impact comes at forte and demand non-restrained multidimensional scaling. Not the ERICs! 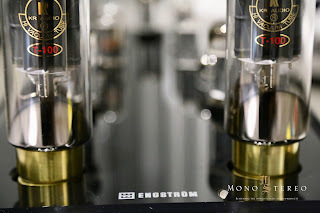 Engström cost no object tube amplifiers accurately portrayed a variety of orchestra's sounds with a lexicon like quality. One of the biggest challenges (event at the cost no object level) is not strictly connected with the dynamic impact. It's the ability to preserve both orchestra and solo instrument within their given space and time while not creating a sonic cluster. 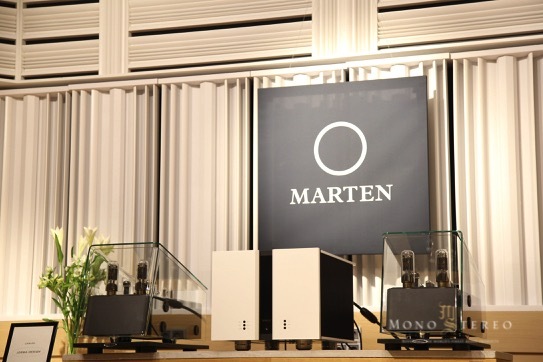 This is where the high-end and ultra high-end parts by a no small margin. This is particularly evident when Jacqueline Du Pre's moderato tempi is joined by the orchestra. With Engström app her poise is untouched and her lyrical playing is as vivid as it gets. 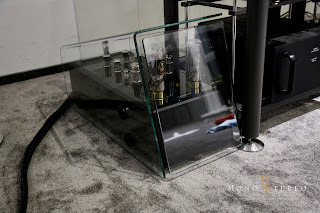 This feature alone elevates the ERIC amplifiers at the most highly distinguished audio abode! 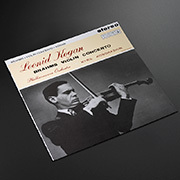 The Brahms, Violin Concerto - Played by Leonid Kogan / Kyril Kondrashin (ERC042M) further confirmed that the ERIC's magnificent ability of complex, yet palpable relief structuring of the aural scape was no happy accident. Kogan's violin vibrancy, as well as the golden trio of timbre, tone, and color, were never challenged with the Engström tube flagships in action. 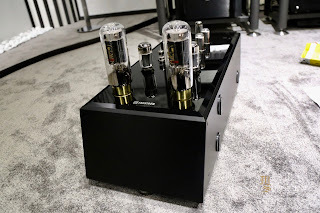 ERIC amps reflected an impressive amount of upper echelon attributes translating into the believability factor that really shifted my perception of what a state of the art tube amplifiers are capable of. ERICs' rendition of Kogan' immersive and fluid performance as well as juxtaposition of orchestra and violin was exemplary. 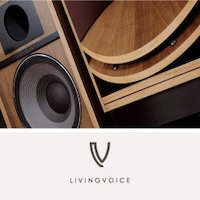 The texture is seen as a jointed timbre of multiple instruments and ERICs exhibited stand out qualities. 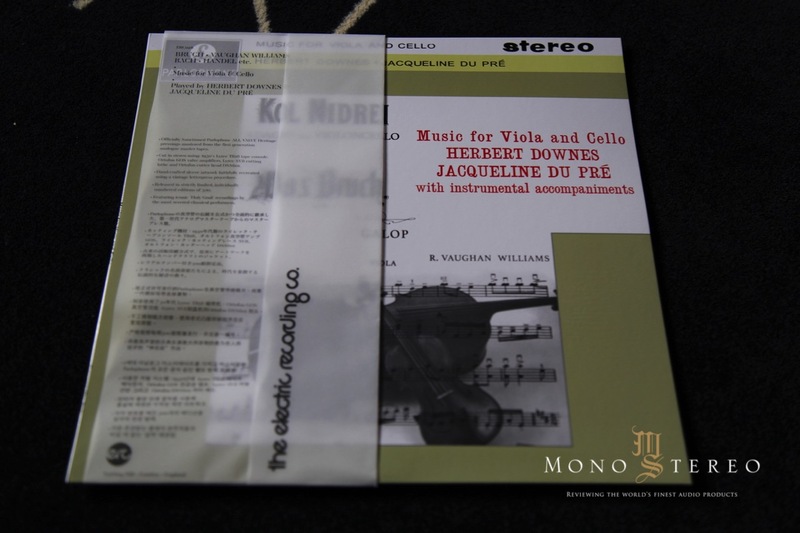 The story of a vibrant and objective instruments' embodiment continued with Music for Viola & Cello, Played by Herbert Downes and Jacqueline Du Pre (ERC028). 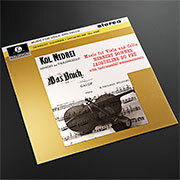 The subtleness and delicacy of this magnificent ERC release reveal mesmerizing portraying of overtones and harmonics. 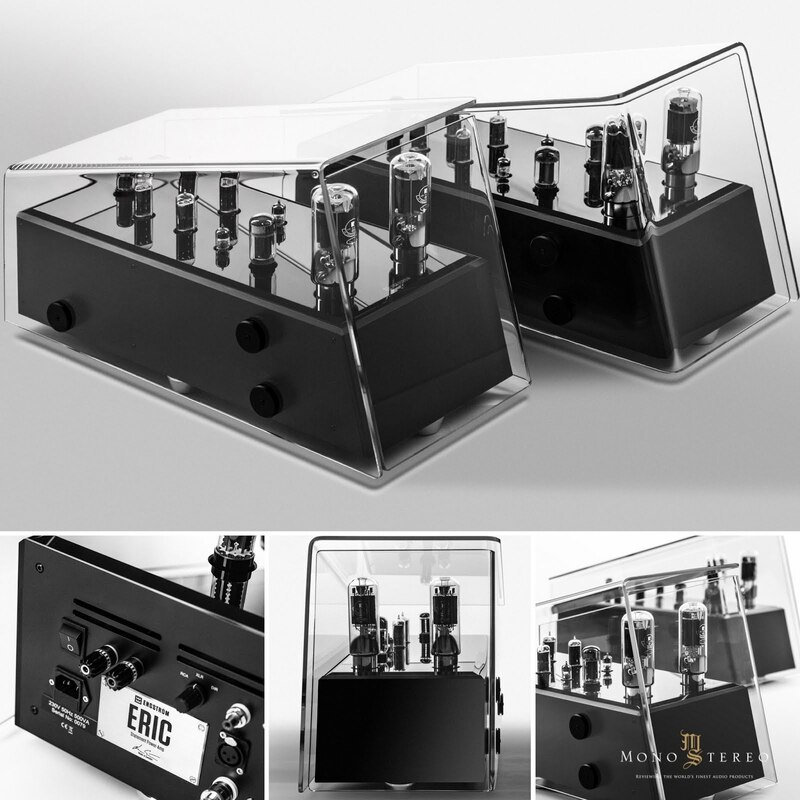 ERIC amplifiers' non-parallax sonic reality again showcased how the haute son should be served at the upper league. 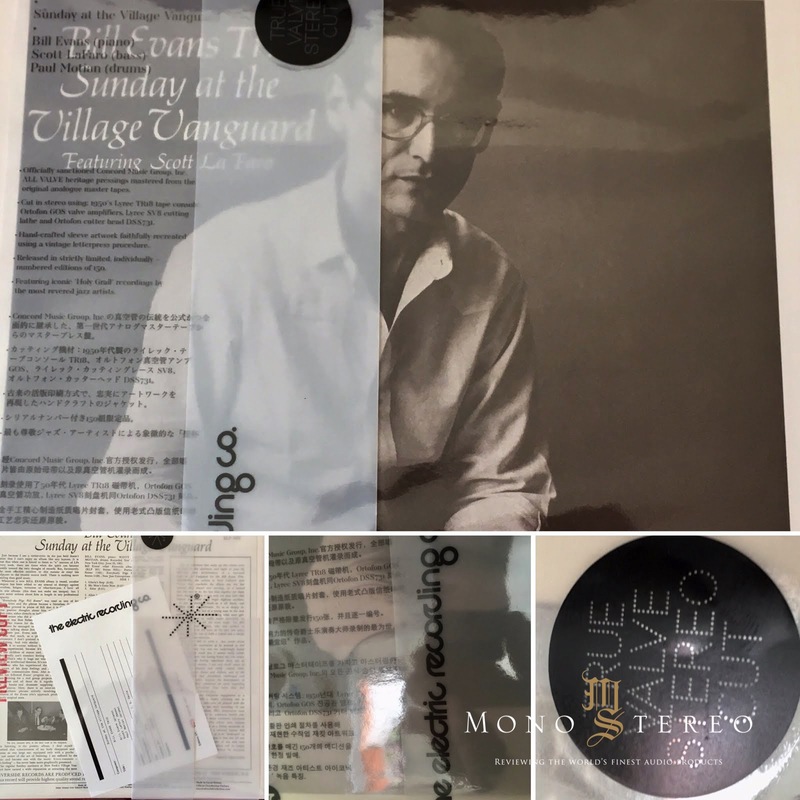 ERIC amplifiers' zen-like translucency and out-of-the-box, out-of-the-speakers' rendition of Bill Evans Trio Featuring Scott La Faro Sunday At The Village Vanguard (ERC040S) painted the sonic canvas with a strikingly powerful illusion. I did expect stellar performance, but not exactly such sonic semantic proximity. Being there factor was for a change not metaphoric, but with the higher level believability. 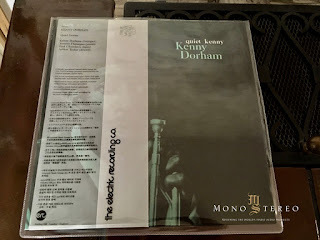 Kenny Dorham - Quiet Kenny (ERC042M) explores the virtuosic essentials of the musical expressivity and challenges any amplifier ability to get the timbre right! 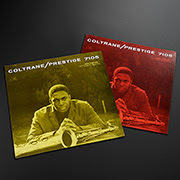 It takes a conjoint involvement of both cerebral hemispheres (and a potent amplifier) to properly grasp the ERC's painstaking endeavours of delivering the purity true to the originals, that is encapsulated in these limited editions black vinyl disc. Reproduced brass' timbers need to be both velvety and metallic to form an illusion worthy of prolonged listening participation. 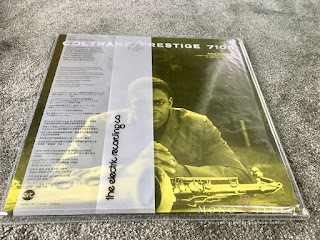 With Engström flagships both Kenny Dorham - Quiet Kenny and John Coltrane - Coltrane (ERC038) were presented with a tonal purity and proper brass timbres, that were neither in absence of correct spectral cues or at any given moment dynamically constrained. 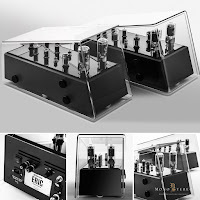 The ERIC amplifiers easily demonstrated spatial expandability and timbral correctness of the highest degree. Enough said! There’s no uncertainty. 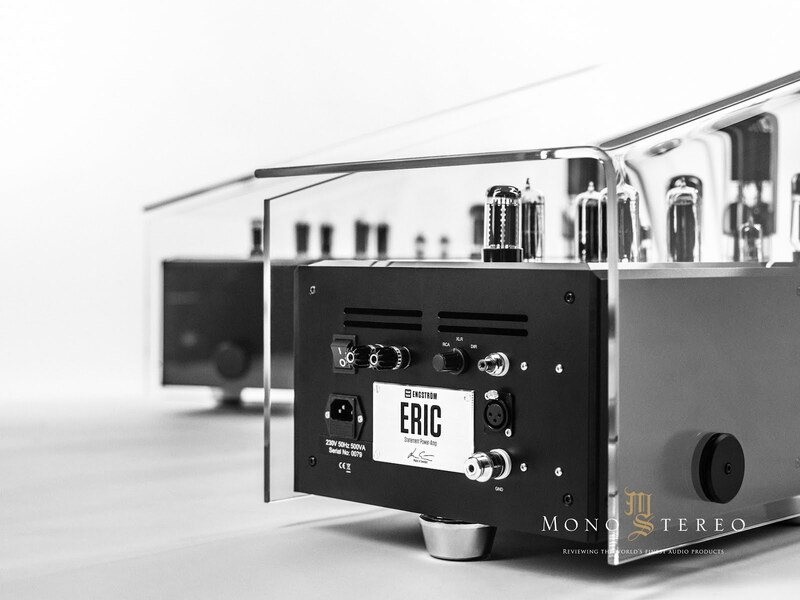 The ERIC amplifiers were designed from the very beginning to transmit unaltered power on demand without sacrificing the playful musicality. 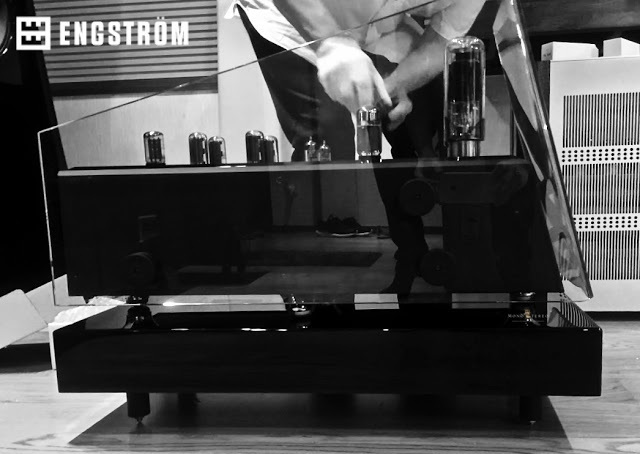 I’ve been around and had heard a rather diverse selection of the tube amplifiers and I’m rarely smitten by something these days, but the Engström ERIC’s radiant heart has profoundly shaken my inner core. There is some dramatic element, with enchanting mechanics operating above of just performing the music in the appropriate form. 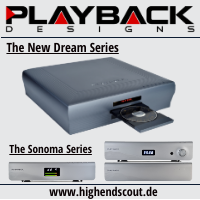 And this is the particular subject matter, that is not pointed out or discussed enough in relation with the ultra-high-End audio devices. We can easily identify the performance of the sports car with the actual-tactile hand-on involvement and experience. 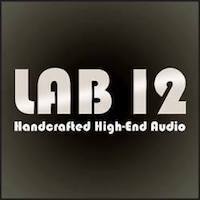 In high-end audio, this encounter can too quickly turn into a matter of an intense debate. But... There is something to hold on. When the music is reflected on such scale as with ERIC, the listening impact cannot be overlooked. Deciphering of these capacities might be connected to the mileage, prolonged exposure to the various upper echelon gear (with the substantial essence so to speak), appreciation and engagement with the live music etc. It can be a unification of many factors. For someone that does this on daily basis it's a bit easier to detect the fatigue-free quality of the component and with ERIC amplifiers this was shown blazingly fast. Returning to the what Engström is calling Scandinavian Sound. 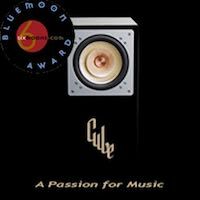 This is undoubtedly intimately linked with ERIC’s unreserved purity that conveys an unprecedented aural freedom. I was pondering about how to properly sum up ERIC’s qualities. A product like Eric is not the result of something casual and rushed. “Pleasure in the job puts perfection in the work” (Aristotle) seems to qualify accordingly. Engström ERIC amplifiers are the result of Timo and Lars’ lifelong fascination with music and their sole professions. 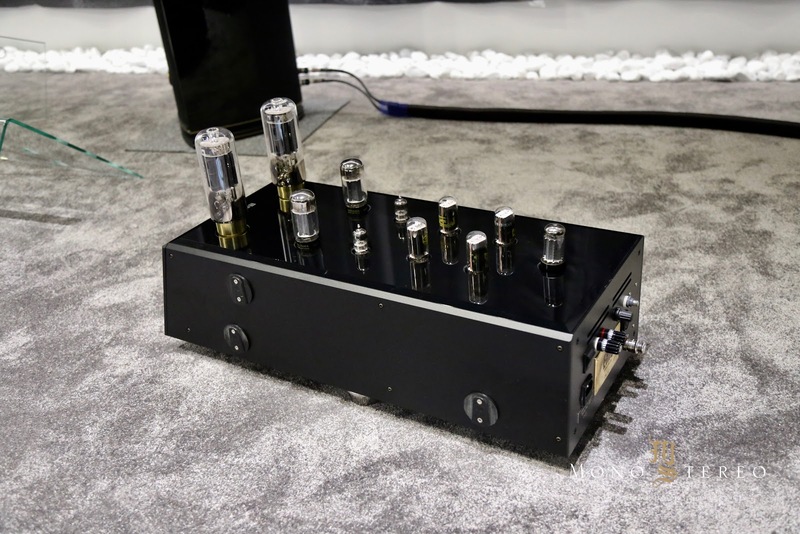 ERIC represents what a contemporary ultra-high-end-audio amplifier should stand for; the ultimate take on the music reproduction! There is not even a remote scent of the “tubish” sound and no (preferred or undesirable) sonic traits. 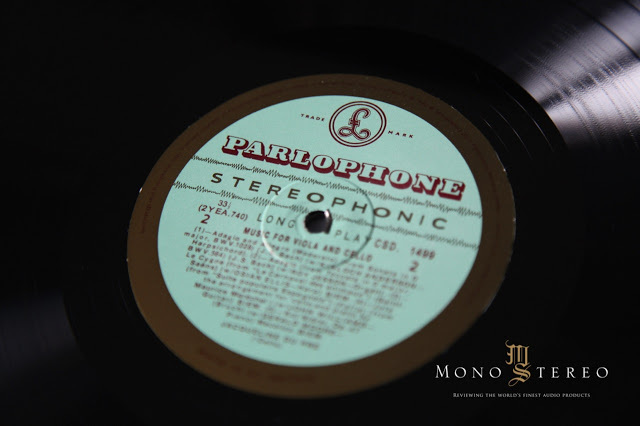 Eric simply breaths with its own efficacy in delivering THE music. The sonic result cannot be encapsulated within anything ordinary labeling. 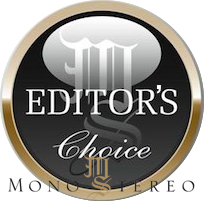 Although I normally only give out the Mono & Stereo Editor’s Choice Award to the products, that became a permanent part of my reference system, with the Engström ERIC I’m making an exception. Yes, they are that great! 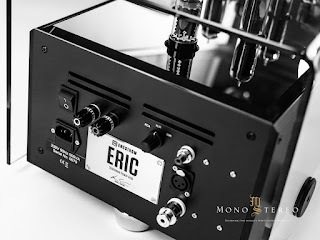 ERIC amplifiers are fool-bloodily my kind of a product, crafted by my type of people and portraying the music in my kind of a way. 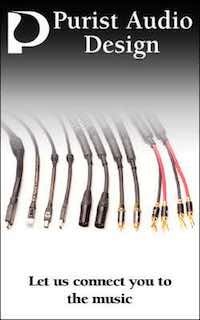 - Output Impedance: 4 Ohm Or 8 Ohm. Selectable On Order.